Genuine OEM Lexmark Toner Cartridge, Black, Extra High Capacity 30,000 page yield. Lexmark part number: B281X00. Laser Toner Cartridge compatible with Lexmark B2865dw. Genuine OEM Lexmark Toner Cartridge, Black, 7,500 page yield. 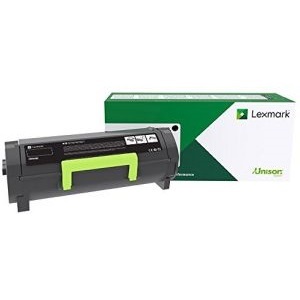 Lexmark part number: B281000. Laser Toner Cartridge compatible with Lexmark B2865dw. Genuine OEM Lexmark Toner Cartridge, Black, High Capacity 15,000 page yield. Lexmark part number: B281H00. Laser Toner Cartridge compatible with Lexmark B2865dw. Genuine OEM Lexmark Imaging Unit, Black, 150,000 page yield. Lexmark part number: 58D0Z00. Imaging Unit compatible with Lexmark B2865dw, MS725dvn, MS821, MS822de, MS823, MS825dn, MS826de, MX721adhe, MX722, MX725.